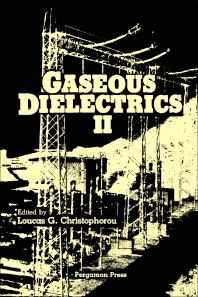 Gaseous Dielectrics II focuses on the discussion of the progress and issues related with gaseous dielectrics, their efficient use by the electric power industry, and how they affect the environment. This book features contributors who have pursued extensive research on gaseous dielectrics. The discussion starts with a presentation of the fundamental physics covering the subject. In this regard, numerical analyses are presented to show the nature of gaseous dielectrics. This book then proceeds by presenting the fundamental mechanisms involving corona discharge and breakdown in air as well as discharge processes in SF6. Supporting the discussion are numerical calculations that show how the processes progress. A discussion of “new gaseous dielectrics” is also presented. In this consideration, the breakdown behavior of new gases and gas mixtures as well as their strength are elaborated. This topic is followed by the evaluation of the effect of surface defects on the breakdown of gases and gas mixtures. Another part of the book discusses the effects of conducting particles to gases and gas mixtures in gas-insulated systems. A discussion of the decomposition of gases and gas mixtures is presented, including high-voltage testing of gases and gas mixtures. The bioenvironmental effects of dielectric gases are also discussed. This selection is a valuable source of information for readers who are interested in studying the industrial utilization of gaseous dielectrics.